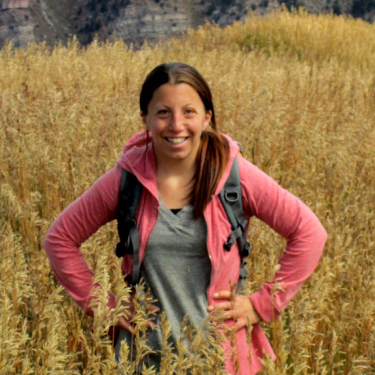 Chris first came to Gore Range Natural Science School as an educator fellow in 2008 and is excited to rejoin the Walking Mountains team as Youth Programs Director in 2018. She received her B.S. in Biology from Penn State University and her M.S. in Human Dimensions of Natural Resources from Colorado State University. She brings to the team a wide variety of experiences teaching and managing at nature centers and science schools across the country. Most recently, Chris served as the Rock Bottom Ranch Programs Manager at the Aspen Center for Environmental Studies. She loves to teach about the natural world and hopes to inspire students of all ages to become stewards of their own backyards. Chris oversees Youth Programs including Field Science Programs, Summer Camps, Girls in Science, STEM Curiosity Lab and Sowing Seeds. In her free time, Chris is excited to explore the Eagle Valley on foot and on skis with her camera in hand! Chris rejoined the Walking Mountains staff in 2018 as Youth Programs Director. She loves to teach about the natural world and hopes to inspire students of all ages to become stewards of their own backyards.